STAMFORD, Conn. - December 6, 2018 - NBC Sports Group has announced a multi-year extension of its exclusive partnership with MX Sports Pro Racing to continue as the television and digital home of the Lucas Oil Pro Motocross Championship, both parties announced today. In addition, Lucas Oil returns as the series'' title sponsor. Per the agreement, NBC Sports Group will present comprehensive coverage of every qualifier, Moto 1 and Moto 2 from every race across NBC, NBCSN and NBC Sports Gold - NBC Sports Digital''s direct-to-consumer live streaming product. All qualifiers, Moto 1s and Moto 2s will continue to be shown live and commercial-free via NBC Sports Gold''s "Pro Motocross Pass" to superserve the passionate motocross fanbase. NBC Sports Group and MX Sports Pro Racing began their partnership in the the 2012 season. "As the home of motorsports, we''re proud to continue our strong relationship with the Lucas Oil Pro Motocross Championship and MX Sports Pro Racing into the next decade, further establishing our presence in the motocross community," said Rob Simmelkjaer, SVP, NBC Sports Ventures. "Fans know NBC Sports is the home for all things motocross, from our linear coverage on NBC and NBCSN, to our robust offering on our direct-to-consumer product, NBC Sports Gold." "We''re fortunate to have such a devoted title sponsor in Lucas Oil, which has been with us from the beginning and has helped bring added prominence to the world''s most prestigious motocross championship," said Carrie Coombs Russell, MX Sports Pro Racing CEO. "Additionally, we''re thrilled that NBC Sports will remain the home of American motocross for the foreseeable future, which will ultimately culminate in a decade-long partnership for the Lucas Oil Pro Motocross Championship. We are committed to providing our dedicated and loyal fanbase with as much live content as possible, and the continued development of a digital platform with NBC Sports Gold shows what the future can hold as we collectively push to grow the sport." "Lucas Oil Products became title sponsor of the Pro Motocross Championship back in 2009," said Bob Patison, Executive Vice President, Lucas Oil Products, Inc. "We are delighted to continue on with this relationship and do our part to help the sport keep growing." The Lucas Oil Pro Motocross Championship, sanctioned by AMA Pro Racing, features the world''s fastest outdoor motocross racers, competing aboard homologated bikes from one of six competing manufacturers on a collection of the roughest, toughest tracks on the planet. The 12-round series begins just outside California''s famed Hangtown in May, and ends at Indiana''s Ironman Raceway in August. 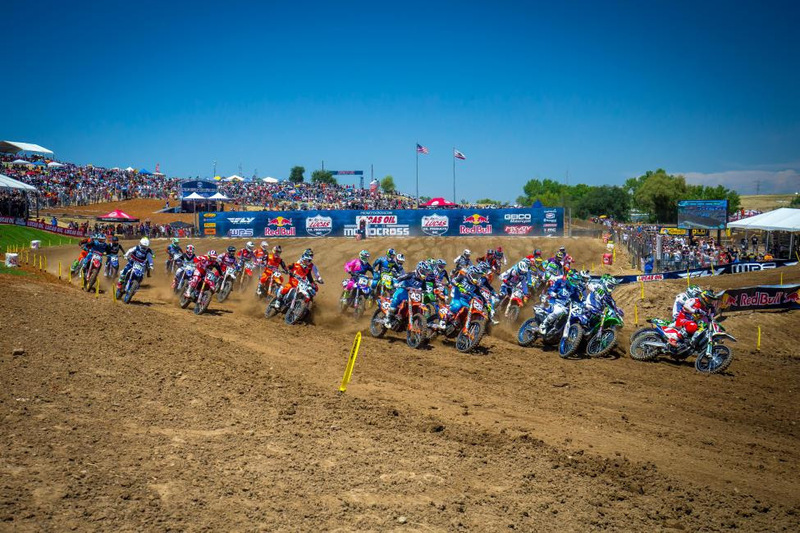 The summer-long championship includes stops at America''s premier motocross racing facilities, with events in California, Colorado, Pennsylvania, Florida, Michigan, Massachusetts, Maryland, Minnesota, Washington, New York and Indiana. Racing takes place each Saturday afternoon, with competition divided into two classes: one for 250cc machines, and one for 450cc machines. MX Sports Pro Racing, the industry leader in off-road powersports event production, manages the Lucas Oil Pro Motocross Championship. The series is televised on NBC, NBCSN and MAVTV, and streamed live on NBC Sports Gold. The title sponsor is Lucas Oil, a leading producer of premium oils, greases, and problem solving additives, all made in America. More information can be found at www.ProMotocross.com. NBC Sports Gold is NBC Sports'' direct-to-consumer live streaming product that provides sports fans with access to exclusive premium sports events and content, live and on-demand, at an affordable price. Launched in 2016 with a single cycling product, NBC Sports Gold currently offers eight individual sports "passes" - Premier League, Cycling, Track & Field, Figure Skating, Speed Skating, Rugby, Pro Motocross, and Notre Dame Football (international). In 2019, it will add PGA TOUR LIVE Pass and INDYCAR Pass. More sports passes are expected to be added soon. Among the premium events and content offered by NBC Sports Gold are 150 Premier League matches; the Tour de France and many more prominent cycling races around the world; USA Track & Field and IAAF Diamond League events; domestic and international figure skating competitions; every Gallagher Premiership Rugby match; the entire 2018 Lucas Oil Pro Motocross Championship season; and all Notre Dame Football home games for international fans.